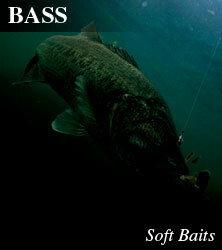 ESCAPE SWIM TWIN attracts suspended bass on the fall with its wild flapping action. The main twin arms are joined using a unique sidewall joint. This unique joint means the twin arms have a full wide action even on a light 5 g sinker, and also heavier 10 g and 14 g sinker rigs. The tail action can be used at any fall speed, from fast to slow. The clever body design works not only on a normal Texas rig but can also be set up on a backslide setting for a fantastic slide fall action. Made using a dense salted material the lure has great castability and controllability. Enhanced with a unique encapsulated scent and taste for strong hook ups. ESCAPE SWIM TWIN joins the trustworthy escape series. 3-1/4" class / 83mm 6pcs. 317 Light Green Pumpkin Blue Flk.